These new collaborations bring our total Driver Project tally to 22 — that’s nearly two dozen initiatives that aim to share real world genomic data here and now,” said Ewan Birney, Director of EMBL’s European Bioinformatics Institute and Chair of GA4GH. For their analysis, the researchers focused on 379 esophageal adenocarcinoma cases profiled for the ICGC project, as well as 149 published esophageal adenocarcinoma tumor exomes and nearly two-dozen tumors previously assessed by whole-genome sequencing for another published study. The review estimated the highest possible cancer risk with these impurities. It concluded that if 100,000 patients took valsartan from Zhejiang Huahai (where the highest levels of impurities were found) every day for 6 years at the highest dose, there could be 22 extra cases of cancer due to NDMA over the lifetimes of those 100,000 patients. Obesity is set to overtake tobacco as the leading cause of preventable cancer-related death, and there is an alarming lack of awareness among the American public of the link between obesity and cancer. Compared with people born in 1950, those born in 1985 had a risk of multiple myeloma 59 percent higher, and a risk of pancreatic cancer more than twice as high at comparable ages. At the same time, incidence decreased for smoking-related and infection-related cancers. The researchers analyzed data from a central database of state cancer registries, focusing on new diagnoses between 1995-2014 of 30 types of cancer, 12 of which are associated with excess weight. They had complete data from 25 states that represent about two thirds of the U.S. population. The researchers randomly assigned 207 cancer patients who were current smokers to either 12 weeks of taking varenicline followed by 12 weeks of taking a dummy version of the pill (placebo), or to 24 weeks of varenicline. The markers, published today in the journal Annals of Internal Medicine, can help researchers, health authorities, clinicians and even patients determine whether new tests are candidates for overdiagnosis. Although thousands of prognostic factor studies are published each year, often they are of variable quality and the findings are inconsistent. Systematic reviews and meta-analyses are therefore needed that summarise the evidence about the prognostic value of particular factors. In this article, the key steps involved in this review process are described. The particular BRCA mutations that 23andMe tests for are rare: Just two out of 100 women with Ashkenazi Jewish heritage have them, and just one out of 1,000 women in the rest of the population have them. Meanwhile, there are more than 1,000 other BRCA mutations that contribute to your breast cancer risk. The 23andMe test doesn’t look for any of them. The researchers found a way to make tumor cells that have BRCA act like they don’t so they can be more easily killed. Their findings point the way toward making resistant tumor cells susceptible to PARP inhibitors once again. TCR2’s lead treatment, TC-210, targets mesothelin, what CEO Garry Menzel calls an “ideal” cancer target. Mesothelin is a tumor antigen expressed in high levels in several cancers but in low levels in healthy tissue. The trial that led to pembrolizumab’s approval enrolled 50 patients with advanced MCC. The overall tumor response rate was 56%, the same response rate reported in a smaller 2016 study. Among the patients with responses, more than half had a response lasting more than a year. Keytruda growth helped drive total sales for the fourth quarter up 5% to $11 billion, in line with expectations. Roche’s application is being reviewed under the US FDA's Real-Time Oncology Review and Assessment Aid pilot programmes. "There has been activist involvement in Bristol over the past couple years that may have contributed to some changes at the company, but we would be surprised if activists are successful in pushing for a larger change, such as trying to get Bristol to sell itself." The Swiss drug maker says it plans to revolutionise the way data is used to effectively treat patients, through techniques such as managing more than 500 clinical trials from its Sense control room in Basel, and a partnership with the Big Data Institute (BDI) - an alliance using artificial intelligence to understand complex diseases and improve drug development. Concentrating on the highly profitable successes, as mentioned in the exchange w/Dr. Kesselheim, glosses over who gets to participate in the far more numerous failures, some of which are rather expensive themselves. 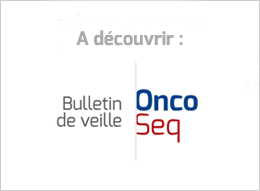 Recommendation based on the Phase III IMpower150 study which showed that Tecentriq (atezolizumab) in combination with Avastin (bevacizumab) and chemotherapy (paclitaxel and carboplatin) helped people with an advanced form of lung cancer live significantly longer compared with Avastin and chemotherapy. If you ranked drug approval years by number of patients affected, I don’t think 2018 would look as impressive. The CHMP adopted a negative opinion refusing a marketing authorisation for Doxolipad (doxorubicin). Developed as a hybrid medicine, Doxolipad was expected to be used to treat breast and ovarian cancer. It is indicated as monotherapy in the first-line treatment of adult patients with locally advanced or metastatic NSCLC with EGFR activating mutations. I am also concerned that the architects of Plan S have not consulted broadly with researchers, editors, and leaders of scientific societies to obtain their views of how devastating this plan might be for the very organizations that support researchers and their disciplines. We live in a precarious time where ideas and beliefs trump facts and—as we’ve seen in healthcare—an entrepreneur will defraud everyone to keep their star in the sky. We can not give into these pressures to build wealth, or be seen, and communicate broadly without caution, education and empathy. Cancer patients need and deserve accurate and honest information — from doctors, researchers, biotech CEOs, and the media. Reporters may benefit from more clicks on a story, but patients suffer. This kind of inflammation feeds the cancer of false hopes. So it happened again. An underreported story about a half-baked advance in cancer medicine caught fire and scorched its way through social media, onto network TV, and into the minds of millions of people. To start, no. There won’t be “a complete cure for cancer” in a year’s time, as the chairman of a small Israeli biotechnology firm predicted to the Jerusalem Post.